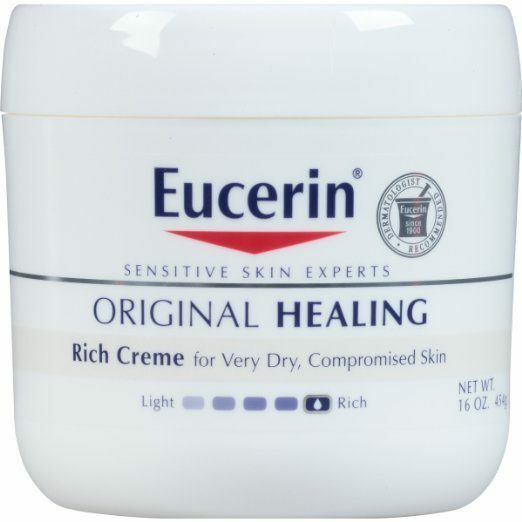 Eucerin Original Healing Soothing Repair Creme 16 Oz 2 Pk Only $17.66! You are here: Home / Great Deals / Amazon Deals / Eucerin Original Healing Soothing Repair Creme 16 Oz 2 Pk Only $17.66! Head over to Amazon to pickup the Eucerin Original Healing Soothing Repair Creme 16 Oz 2 Pk Only $17.66! Even if this is more than you normally use, buy with a friend to split the cost on this fantastic dry skin healer! This 2 pack is just $23.54 on subscribe and save, but there is a 25% off coupon that brings it down to $17.66 for the 2 pk or just $8.83 each. Be sure to set your delivery date far enough out in the future so you have plenty of time to cancel!